That’s Bolaji Bodejo. I love knowing that. 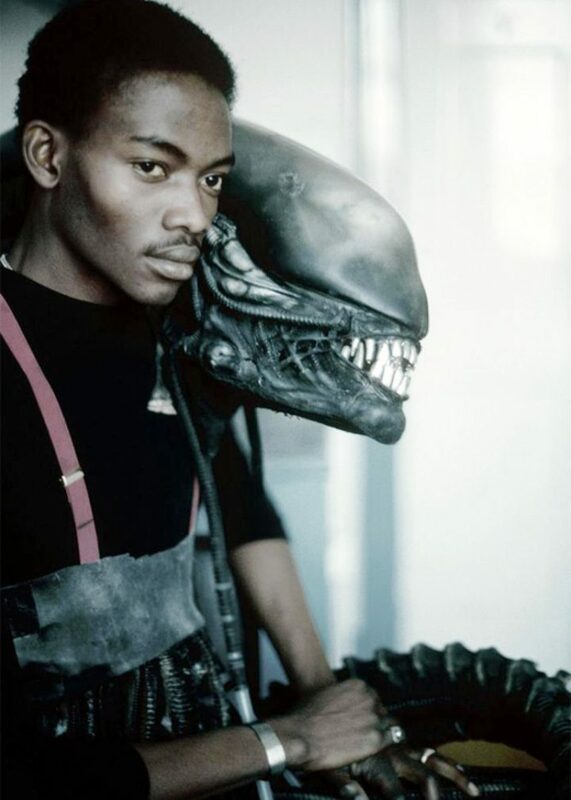 Bolaji Badejo was a Nigerian visual artist and actor who became known as one of Hollywood’s most unlikely on-screen performers in the role of the Alien in Ridley Scott’s 1979 film Alien, his only film role. He died of sickle cell anemia at the age of 39.